I haven’t done a lot of quilting lately. Partially because I can’t afford to send it off to the quilter when I’m finished the top and partially because it took most of my energy to survive every day. Things are looking up and I’m moving forward. 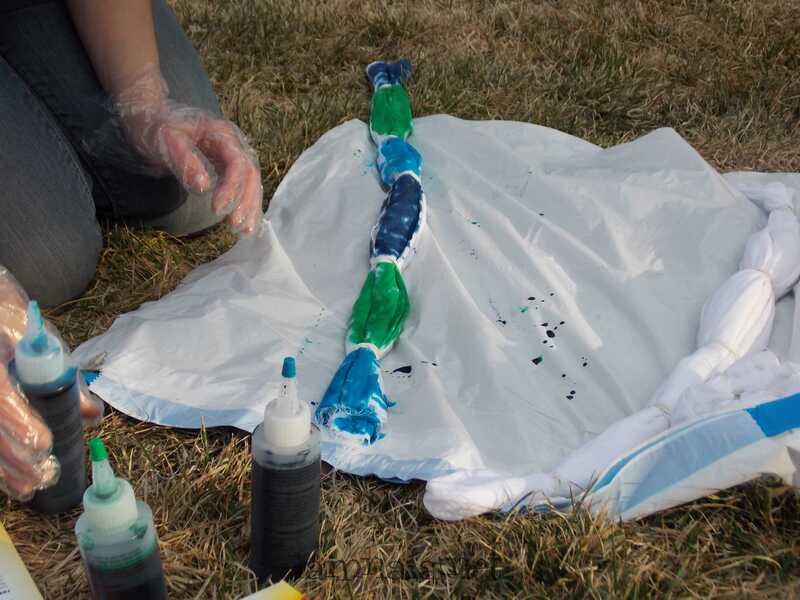 To that end, I decided to purchase a tie dye kit for Jen and asked her to dye 3 sheets of white fabric, 1 yard apiece. She was puzzled but she did it. I believe she even had fun at it! She did three different designs and then let them do their work. The next day, she rinsed and dried them and, on the third day, she ironed them and handed them to me. At this point, I handed back to her the hardest puzzle she’ll ever have to do. I laughed when I handed it back to her, too. 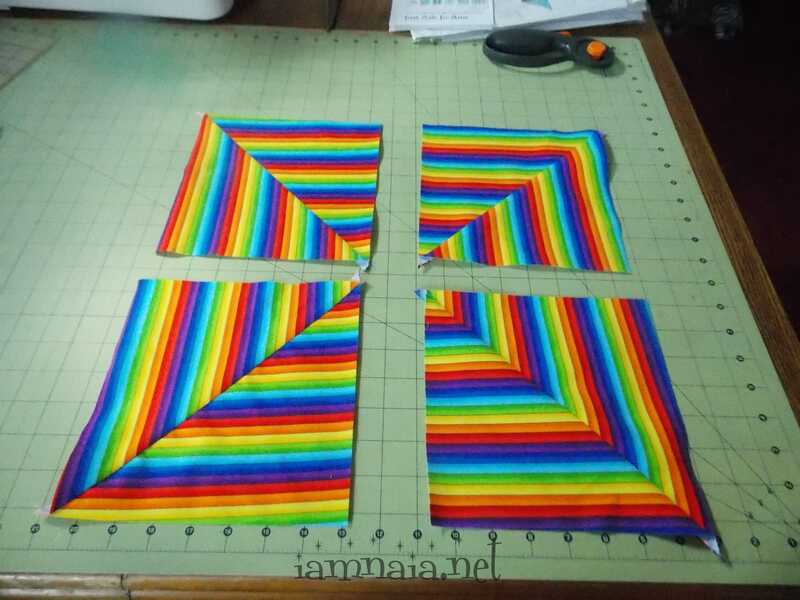 You see, I had cut one of the 1 yard pieces into 5 and 1/2″ squares before handing it back to her. Her job was to put it all back together the way it was supposed to be. Much to my surprise, it wasn’t as hard as I thought. She did it! This is the final result. I was flabbergasted that she had gotten it all back together so fast! The next step? Sew strips of black between all the squares and build a quilt. I got the idea from Tim Quilts. I love reading what he’s doing. I’ll never match his work but I can get mild ideas from his work. Y’all have *got* to pop over and see what he’s up to! You’ll be astounded! 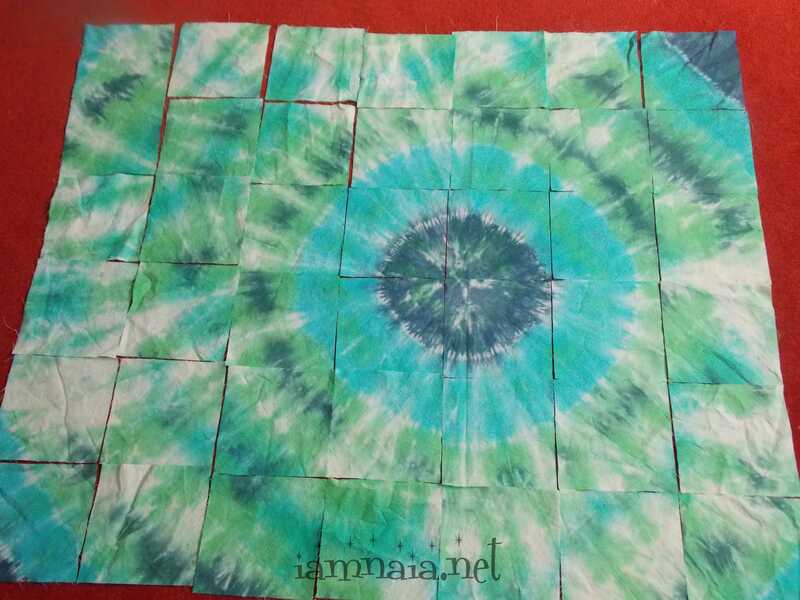 His post on the Tie Dye quilt he made gave me the idea for what I’m doing. I won’t do it as creatively as he did but I’ll make my own thing out of it. I also have two more pieces of 1-yard that Jen did. I might let her get a picture of the tie dye before I cut it all up. Maybe. Unless I feel like continuing to torture her, of course. What else have I done? 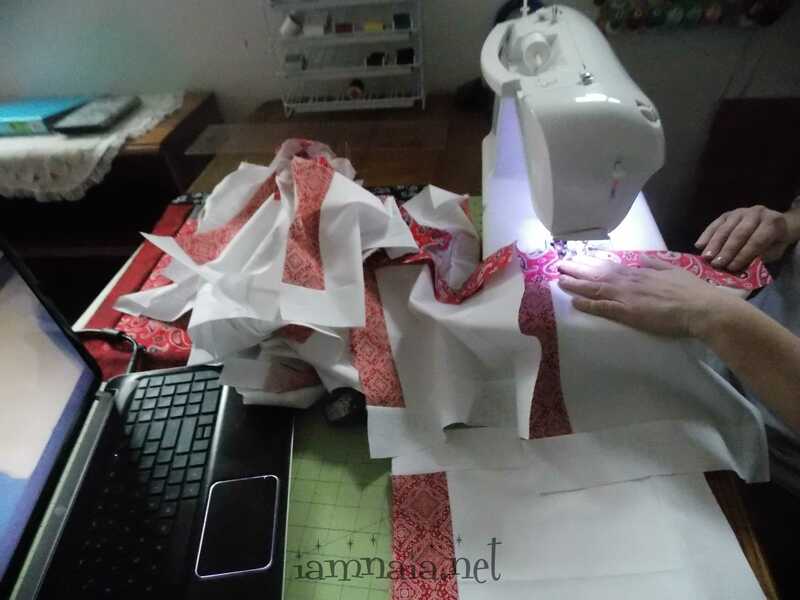 Well, awhile back, I bought the pieces to do a “Skill-Builder Quilt.” This is a quilt designed by JoAnn Fabrics and sold in their stores. It has 12 sets and then the “top finishing” set. It costs about a hundred dollars or so, if you get all the pieces. I got all the pieces but not the backing fabrics. Perhaps I’ll get the funds for that or I’ll just let the guy who does my quilting for me pick the backing. I’ve done that a few times! Also, this “skill builder” is great for trying to get my skills up to par before finally trying to do the quilt I got for Christmas. It has all the pieces and, when done, will be absolutely stunning! 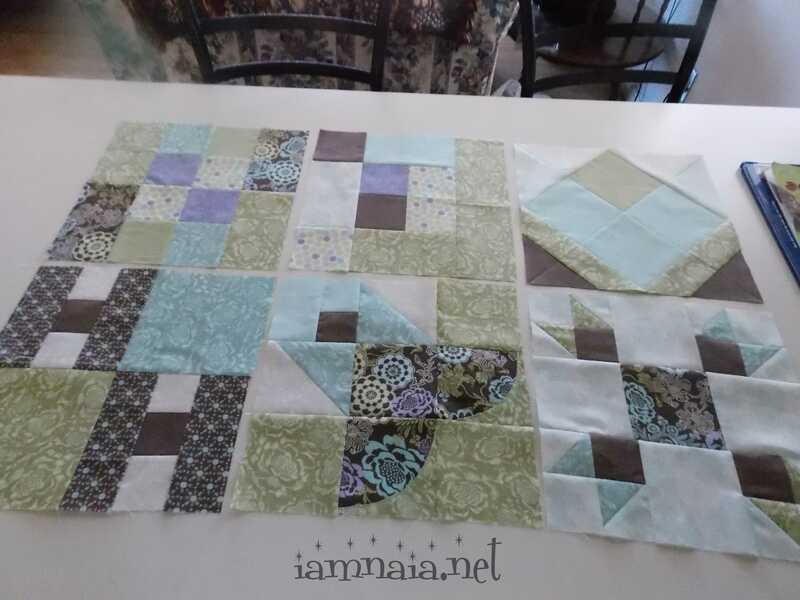 The block with the half-moon shapes was hard but not as hard as the one with the itty bitty half-square triangles! 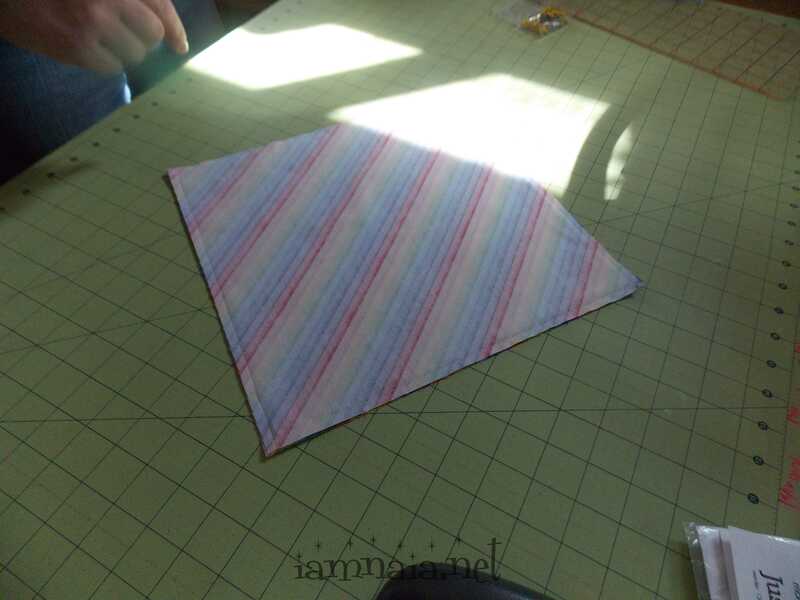 Speaking of those, another blog that I read showed an excellent and easier way to do half-square triangles. I’ve forgotten where to find the post but I’ll share it as soon as I can! 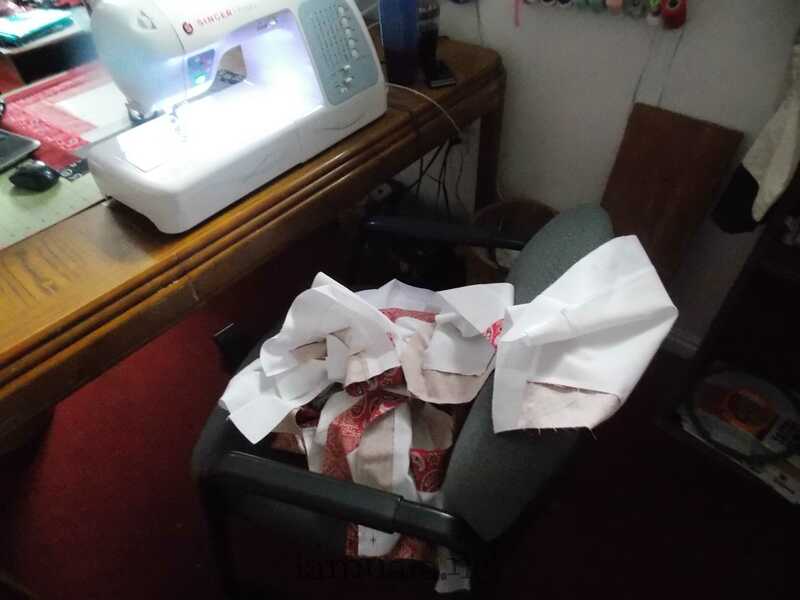 What you do is take two of the same size fabrics and sew them together as squares. Not cut up! Twice on the diagonal. Open it up and you have four half-square triangles. To test this new way, I choose some interesting fabric. Maybe I’ll make something out of it! It is a Log-Cabin pattern but rather large. The center square needed to be 8″ for the handprints of all the children. 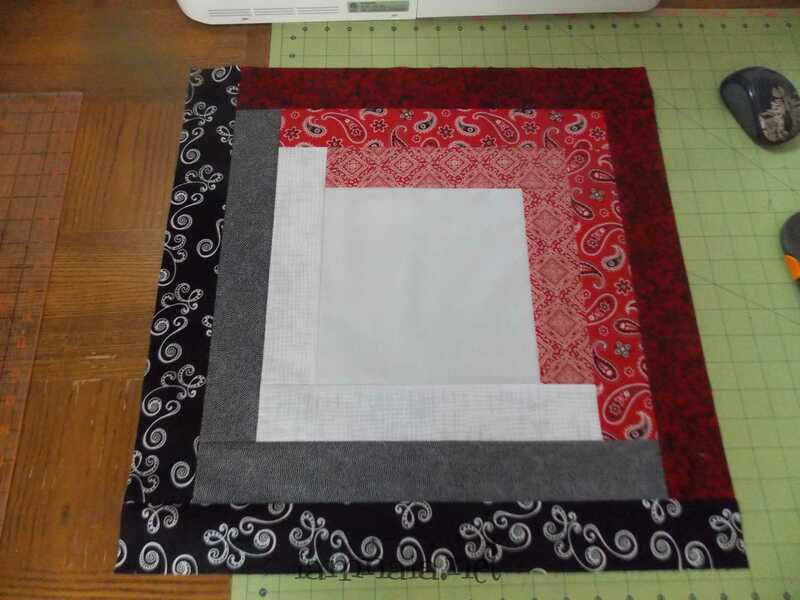 The finished size of this block is 20″x20″. I’m working on it and will show when I am finished. I think it will be rather grand! It shouldn’t take too long. 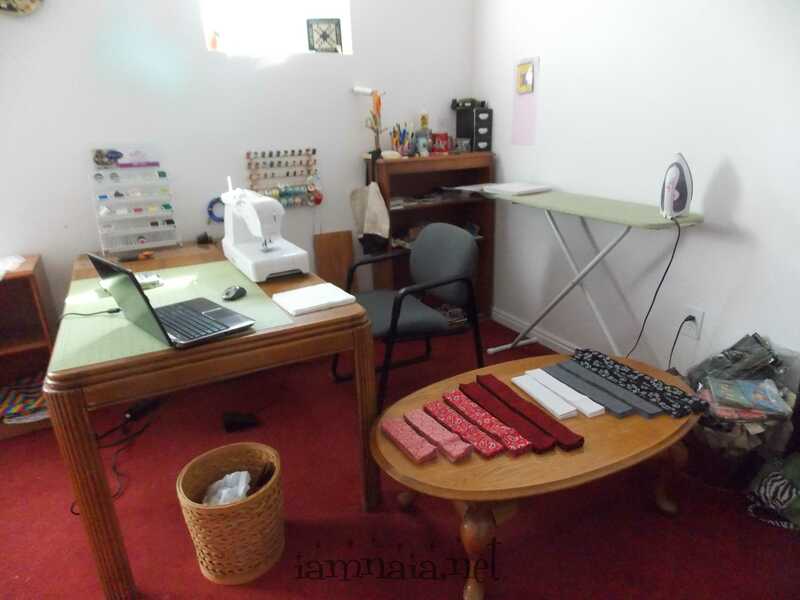 I have a hot iron, laptop with movies loaded, all the pieces lined out and a cup of coffee. 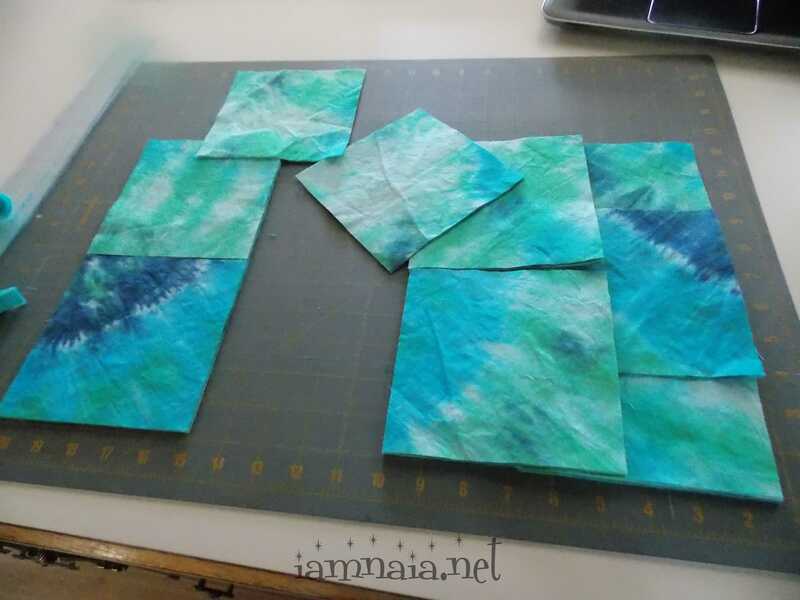 I’m doing strip-quilting. I am doing one color at a time, doing all the pieces with that one strip before moving to the next strip. And, the jumbled mess when I finish all of the strips? I have completed 5 strips on 30 blocks, so far. Time to get off the computer and get back to it! I need to get it done rather quickly and I did blow it off all weekend. That’s about it for my quilting projects for right now. I hope you enjoyed it! P.S. 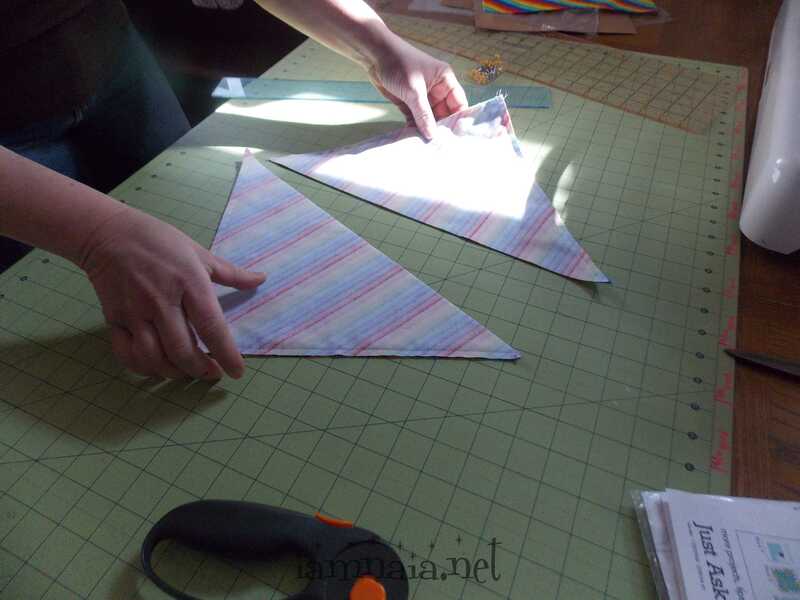 The tutorial for the half-square triangles is HERE. Very lovely. Sorry it’s been a rough go for you lately. I feel like I’ve been stumbling over my own feet since Christmas, really. Happy things are looking up for you. The quilts look beautiful! Hi Janelle! It’s nice to see you! I have been meaning to tell you – your posts are one of the reasons I am pushing through. I’ve always found inspiration in my day when I receive the email that you’ve blogged something else. Thank you for being the “Godly mentor” I have needed – even if you didn’t know. Thank you for your kind words! I appreciate them! Naia, thank you. Your words encourage me! I’m happy to have met you here in blog land. Keep pushing. I will, too.